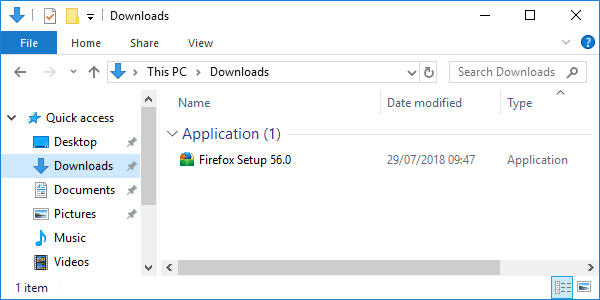 Want to download and install Mozilla Firefox 56 on Windows? Because today I’m going to show where you can find the installer. And I’ll also walk you through the setup. 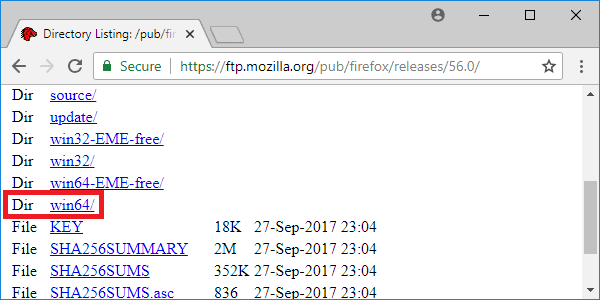 Head over to the Firefox releases page. Scroll down to Dir 56.0 and click on the link. Click on your Windows version. In this guide, we select win64. If you don’t know your Windows version select win32. Select the interface language you want. In this example, we select English as used in the United States: en-US. 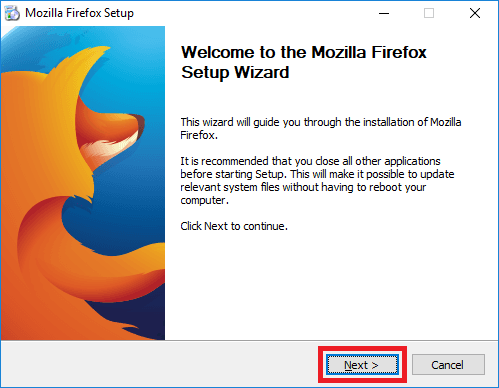 Click on the Firefox Setup link. Now, wait for the download to complete. Do you want to skip above steps? 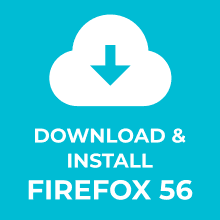 Here is the direct link to download the Mozilla Firefox 56 en-US win32 or win64 installer for Windows. Double click it to start the installation. Windows might report that the application we are installing is not in the Store. Click on Install anyway. A welcome wizard will open. 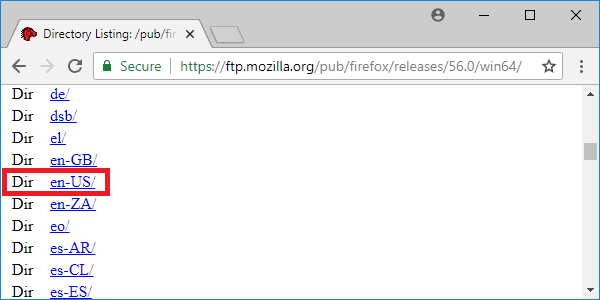 Firefox will start for the first time. 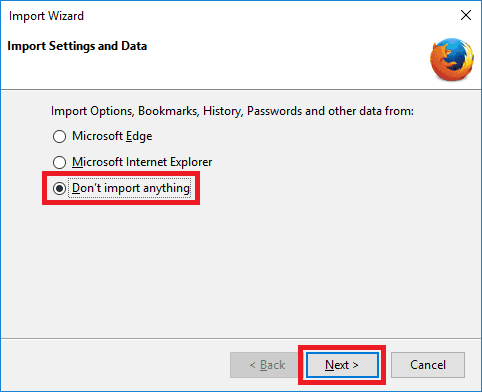 An import wizard will ask if you want to import data from other browsers. In this tutorial, we select Don't import anything. 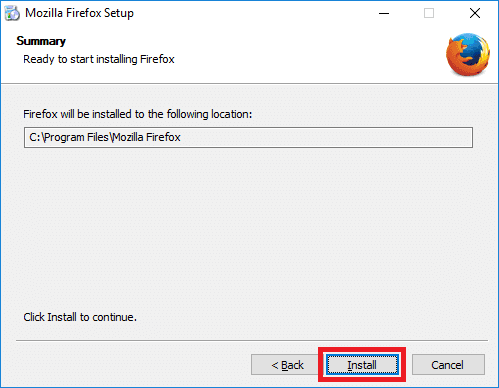 Firefox will now start as shown below. 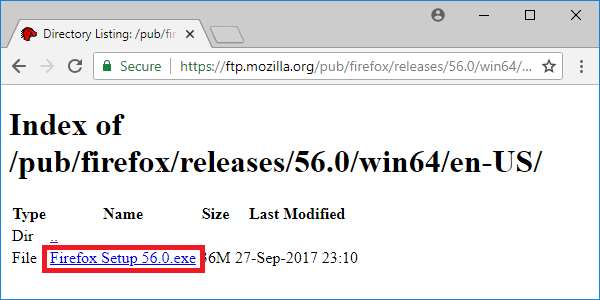 Congratulations, you have installed Mozilla Firefox 56 on Windows 10! 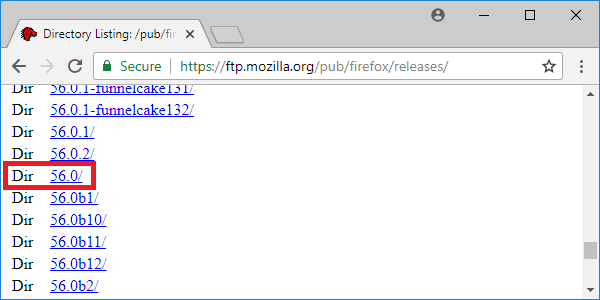 By default, Firefox is set for automatic updates. This will upgrade Firefox to the latest version. 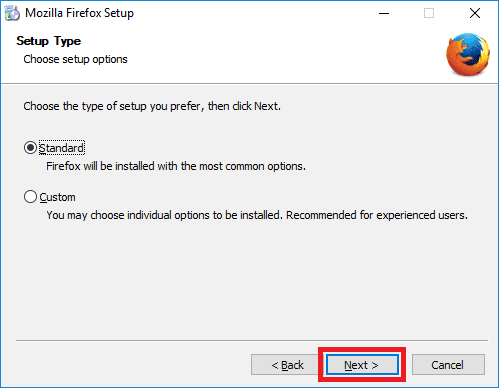 To turn this off, you need to change your Firefox update settings. Click the menu button (top right corner) and choose Options. 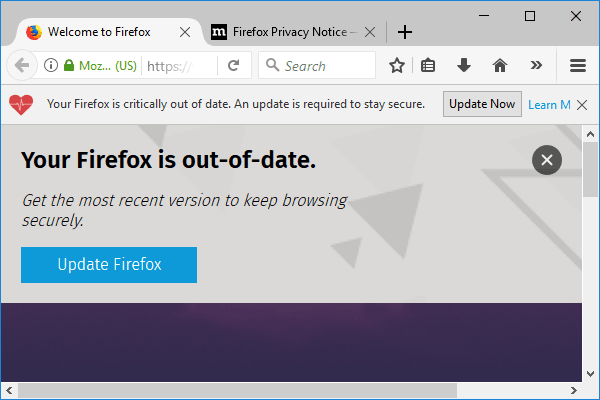 In the General panel, go to the Firefox Updates section. 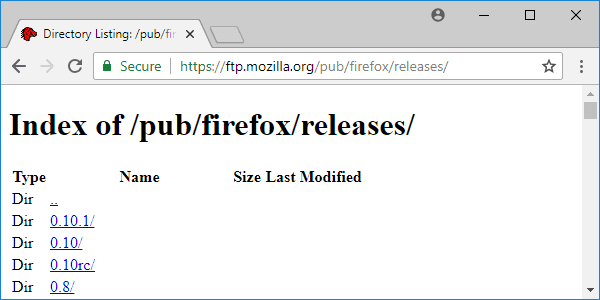 Be aware that using old versions of Firefox poses a significant security risk! Leave a comment below if this post was helpful.